Pompano Beach, Florida is home to approximately 106,105 individuals who regularly use public transportation, including busses, to make their way around the city, county and state. Over the last several years, the number of individuals using public transportation has increased, raising the number of busses on the road in Pompano Beach, and also increasing the likelihood of an accident involving a bus. Victims of bus accidents include bus passengers, drivers and passengers in vehicles hit by busses, pedestrians, bicyclists, skateboarders, motorcycle drivers and passengers, and owners of property damaged by bus accidents. If you or your loved one have been impacted by a bus accident, the lawyers of Frankl & Kominsky can help. Pompano Beach is served by a number of different busses to facilitate travel for residents and visitors. In addition to traditional public bus transportation, Pompano also boasts Palm Tran, school busses, and a community bus service. Broward County Transit routes 10, 1, 20, 31, 50, 60, 83, 93 and 95 transit Pompano, which connect with the community bus orange and blue lines. Community busses are free to Pompano Beach residents, who can use the service to reach various locations around the city, including beaches, shopping, and restaurants. The ease and low cost of the service is appealing to residents and visitors as an alternative to using their own vehicles. There are numerous causes of crashes involving busses. Bus drivers can cause accidents through failing to see other vehicles, pedestrians, pylons, signs, or other items. Because busses are so large, they have multiple blind spots, which inhibits the ability of the driver to see who or what is around them. Driving a bus requires training, and some drivers do not receive proper instruction or training from employers. Likewise, drivers under the influence of alcohol or drugs can contribute to accidents. The bus itself can cause accidents. 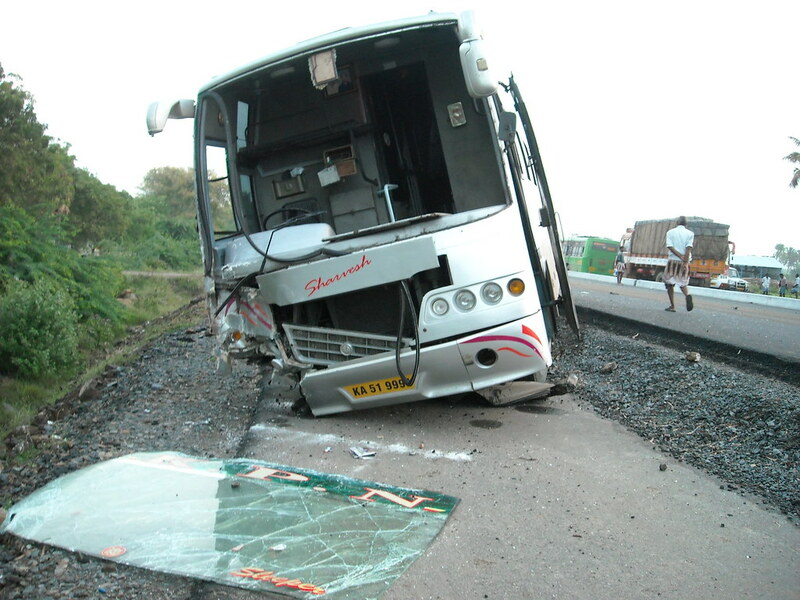 If the vehicle is faulty or there has been faulty or inadequate maintenance of the bus, it can cause accidents. Weather, poor road conditions, and other factors can also contribute to bus accidents. Bus accidents, like other vehicle accidents, can cause serious injuries. For passengers on the bus, problems can occur during a collision when they are thrown from their seats or jolted from standing positions, hit by unsecured personal items, or thrown into the sides or even ceiling of a bus. Busses rarely have seatbelts, which increases the chances of falling out of a seat. Individuals can also slip and fall when entering a bus or during a bus ride. For a pedestrian hit by a bus, the injuries can be catastrophic. Likewise, bicyclists or motorcyclists who are involved in a crash with a bus can face serious injuries. Even car drivers who collide with a bus may have severe injuries. If you or a loved one in Pompano Beach has been injured in a bus accident, call Frankl & Kominsky. The attorneys at Frankl & Kominsky have extensive experience regarding bus injuries, and have represented numerous individuals and their families, bringing suit against drivers, bus companies, insurance companies, and even cities, such as Pompano Beach. Our lawyers know that because busses are so large, they can cause severe damage to those impacted by a bus accident, and Frankl & Kominsky will work hard to compensate anyone injured in a bus accident for medical bills, lost wages, or other damages. We not only help victims in Pompano Beach, but also throughout South Florida, including Boynton Beach, Delray Beach, and Lake Worth. Call us today for a confidential consultation, at (855) 800-8000, or contact us online. We speak Spanish and Creole.